It is that time of the year. There are luscious smells of baking and roasting and frying that assail my poor brain. Almost everything that makes my mouth water is bad for me. 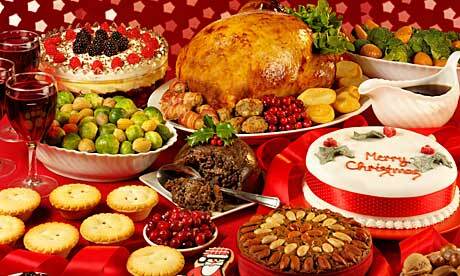 I have just about recovered from the frustrations of abstinence from Diwali sweets and Christmas is now already upon us. I have just been soaking the dried fruits in my second best brandy and they can absorb no more. Dark, bitter chocolate and marzipan and glazed cherries are coming out of their hiding places in the larder (and they are hidden to keep me from them). Now I feel schizophrenic. My unconscious brain is delighting in all the good things to come but my conscious, rational brain is just making a list of eating pleasures that will be heavily curtailed or may not even be. And that got me to wondering why natural selection and evolution could be so horribly, ineffective. How come, I do not crave what is healthy and good for me? If evolution worked properly and worked towards my survival, then surely my brain would crave salads and raw vegetables and fruits and maybe some nuts, but not honey-glazed ham and choux pastry dipped in dark chocolate and filled with cream. 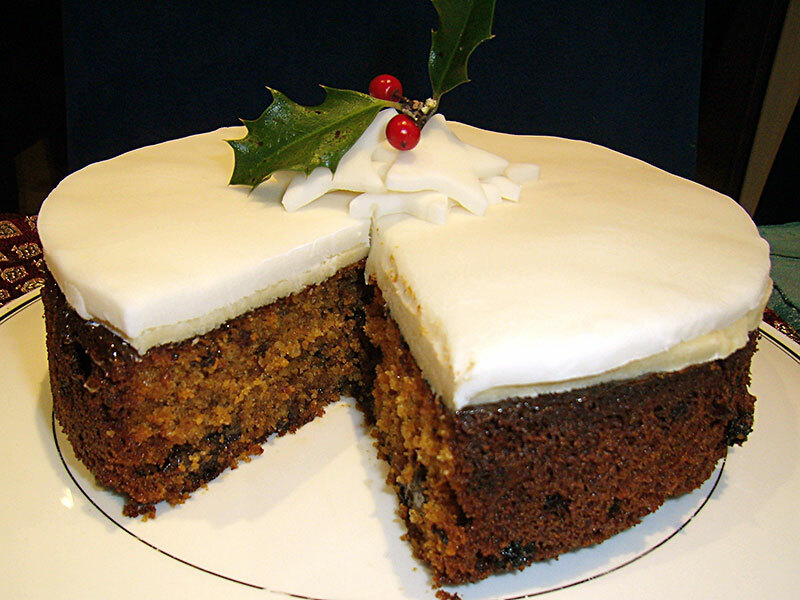 Or brandy butter and Christmas cake saturated with booze. Why do I find roast potatoes so much more enticing than plain boiled potatoes (except of course if they were new potatoes and covered in herb butter and melted cheddar)? My tentative theory is that in the last 2000 years humans have become experts at creating their own, favourable environmental bubbles in which they live. Our bubbles include the production of our food. We live in the Arctic or at the equator and maintain a tropical climate around ourselves throughout the year. Refined sugar and processed meat and hot house vegetables are things that natural selection was not intended to cope with. I read that we crave certain foods to balance the serotonin that our brains desire to maintain a “proper” balance – whatever that might be. Carbohydrates provide serotonin which dispels stress and anxiety. Fats and sugar together produce calm and even euphoria. Before we controlled the production and processing of our foods we only had access to natural sugars through fruits and some vegetables. Meats provided fats. Quantities imbibed were necessarily limited, for sources were not as readily available until after agriculture and animal domestication were established (say from 20,000 to 10,000 years ago for the transition). And there has been another massive step change in the availability of these foods and in their affordability in the last 100 years. The rate of change with which humans have established the environmental bubbles we create, and in the foods available to us, has been much too fast for natural selection to cope with. Moreover, even though what is bad for us may eventually kill us, medical advances mean that even the “unfit” lovers of bad foods live long enough to reproduce and pass on their genes. Natural selection no longer has a role to play. It has been bypassed and has become irrelevant. Medical care now negates all the deselection of “unfit” individuals that natural selection once eliminated. I see evolution actually as the result of the individuals who get deselected rather than a proactive selection of those individuals who are just good enough to survive. (It has never been about the survival of the fittest – but only of the selection – by default – of those just fit enough to survive). Hence my conclusion that my cravings for unhealthy foods are the fault of an ineffective and obsolete natural selection. So as I struggle with (and sometimes give in to) temptations for the next month, I will console myself by blaming the imperfect, lethargic and ineffective natural selection which has failed me. I am always irritated by the assumption that natural selection and its resultant evolution is a “good thing”. After grinding my teeth for a while I tend to switch off when a “scientist” starts assigning values of goodness or badness to something that just is. So this comes as a reaction to an idiot scientist I just heard on radio, gushing about how wonderful evolution is. It is said that 99% of all species that ever existed are now extinct. It follows, then – by that measure – that evolution has a pretty dismal 1% success rate. A process with 99% of the production being rejected. It is hardly six-sigma. It also follows that many of the species alive today are not quite suitable, are intended for rejection and must go extinct. (I have always thought that this embarrassing level of inefficiency is in itself a powerful denial of any “intelligent design”). The “wondrous evolution” of the eye, for example, is not all that wondrous considering the length of time involved (3.8 billion years from light sensitive algae to the human eye), and the mamillions of generations of trial by error. (A mamillion is the mother of all millions and is one million raised to the one millionth power). The eye is no doubt wonderful, but as a sensor of electro-magnetic radiation, it is only just “good enough”. It could have been much “better”, if excellence of the sensor was a purpose. The long, slow process by which the human eye has evolved is pretty unimpressive as a process, even if the result is not that bad. Natural selection does not even have survival as a purpose. It just throws up a multitude of possibilities and survival of some lucky few is the result. It is this shotgun approach of natural selection which is so inefficient – but to its credit, I have to admit it is a low-cost process which has been sufficiently effective to keep the selfish genes alive. My contention is that an “artificial selection” approach, which had purpose, intelligence and direction, could have produced a superior eye and in much less time. Having direction means that excellence of an attribute could explicitly be sought. “Artificial selection” would be the precisely targeted, rifle-shot, giving a better eye with every generation, compared to the “something should hit the barn sometime” approach of natural selection’s shot-gun, where a better eye was only one of many possibilities for the coming generations. Consider then what “artificial selection” might have achieved – may yet still achieve – for the human form. Surround-sight eyes seeing deep into the uv and ir spectra. Ears able to discern pressure waves from the rumble of elephants and whales and upto the ultrasound of some creatures. Skin with an ability to absorb solar energy. Retractable gills. Cells for photosynthesis. Intelligent, armed, police cells patrolling the body for nasty, criminal cancers. Generalist antibodies. Regenerating cells. Rebooting capabilities for the mind. A brain which could beat a supercomputer at chess. Auto-translation cells between the ear and the brain. A hooded “third eye” to detect the undetectable. A heightened olfactory sense. A shielded “inner ear” to detect gravitation waves. A multi-tasking, retractable tail. Tunable radio receivers in our heads. (And many more desirable attributes I cannot even imagine). Natural selection is about being just good enough. 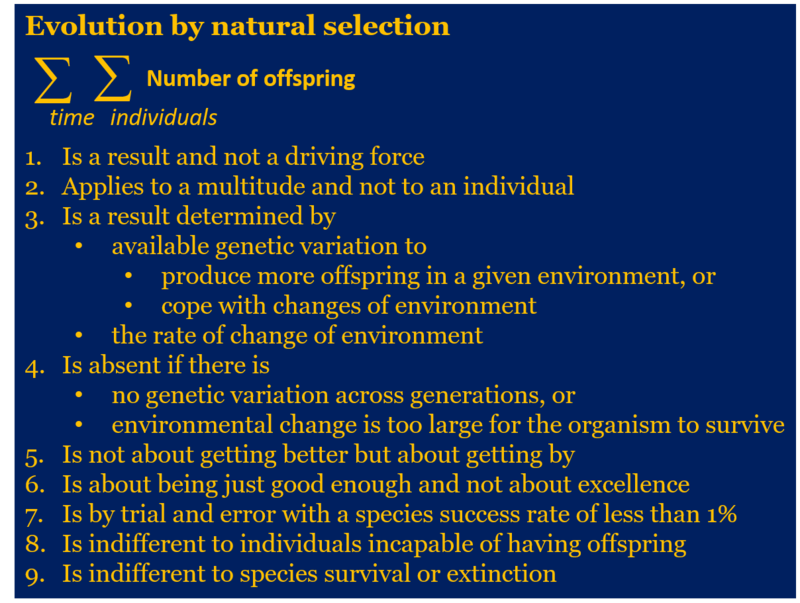 Artificial selection could be about excellence, an excellence as perceived at the time of selection. Artificial selection would then indeed be the application of intelligence to design. It would not take a million years for an “all seeing eye”. That would be a Brave New World for a brave new species of homo sapiens superior. io9 carries a look at how science fiction treats evolution :The most ludicrous depictions of evolution in science fiction history. Of course this begs the question as to how humans are likely to evolve over the coming generations? Humans and chimpanzees ancestors split some 7-8 million years ago and it took some 350,000 generations after that divergence for evolution by natural selection to produce anatomically modern humans (AMH). (This of course raises the question as to how chimpanzee evolution proceeded to reach modern chimpanzees while humans were developing into homo sapiens?). It has been only about 10,000 generations since AMH appeared and only some 6,000 generations or so since modern humans left Africa. A very short time in evolutionary terms yet in this period humans have evolved to exhibit the various races of man that exist today. This differentiation is primarily superficial and all humans existing are capable of mating and producing viable offspring with each other. In theory humans existing today would also be compatible and – in the main – capable of mating with the humans of 6,000 generations ago. In practice a meeting of modern humans with those from 120,000 years ago would be an exaggerated replica of modern man meeting with isolated tribes in the 20th century. These isolated branches of humanity generally had lower levels of immunity to the bacteria carried by their distant cousins and were ravaged by disease after such encounters. The bacteria we carry are probably greatly different to those that humans carried at the dawn of anatomically modern humans. Probably no such meeting or mating would be very successful and one or both would probably succumb to disease brought on by the other’s bacteria. Nevertheless the genomes of the two – even after 6,000 generations – would not be so very different and probably still be compatible. In any primate species a generational distance of over 20,000 between individuals will probably disqualify any theoretical possibility of successful mating.